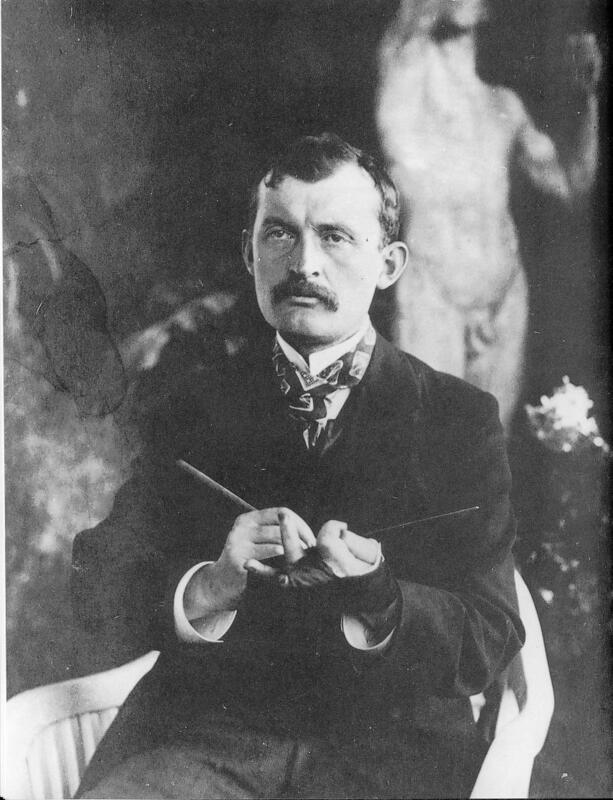 December 2, 1863 – January 23, 1944, he was a Norwegian painter. He is regarded as a Symbolist and a forerunner of expressionism. He focused on themes of fear, anxiety, melancholy, and death. He did not believe in heaven, or other Christian themes or doctrines, as far as I know. My intention is to reintroduce you to an artist that I highly esteem. 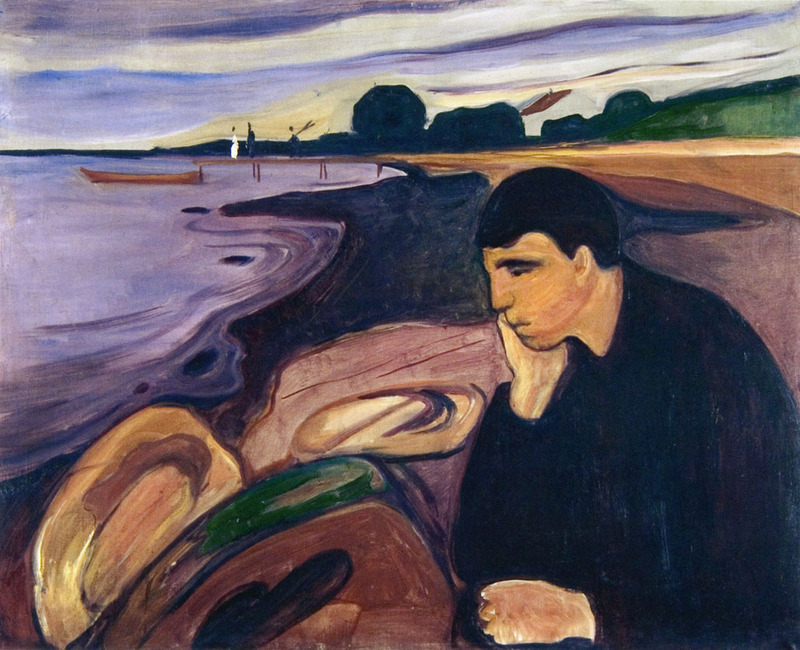 The challenge I suppose is to understand the issues that Munch discovers in his work. He clearly taps into the ‘angst’ of the modern man, and what he does perpetuates a mindset for our generation. Obviously these paintings are just an introduction, and I understand that they are selective. I have refrained from any kind of interpretation, other than laying down a general principle– to Munch, color is everything. 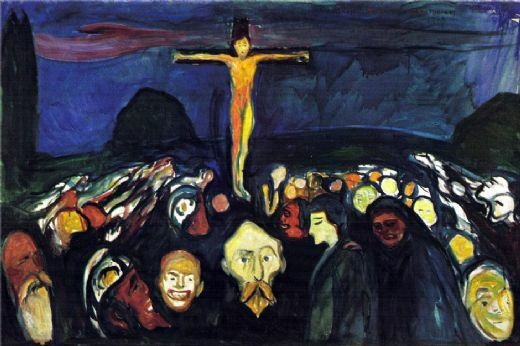 Munch was probably not a cheery person. He essentially was driven by anxiety through his whole life. It seems that he could be very ambitious. His classic work was “The Scream” which he made several versions to sell. He used different mediums to do this– tempera, lithograph and pastel. Interestingly, “The Scream” is a favorite target for art thefts. It captures the minds of every modern thinker. 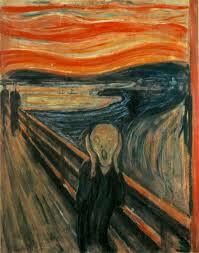 Within our culture, “The Scream” is iconic. Warhol, Gary Larson, Dr. Who and even “The Simpsons” have cashed in on a parody of it.